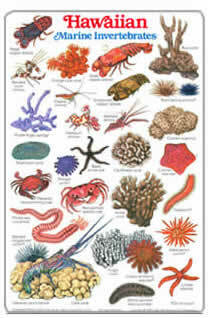 74 exquisite fishes, crabs, lobsters,urchins and more, many not found anywhere else in the world. 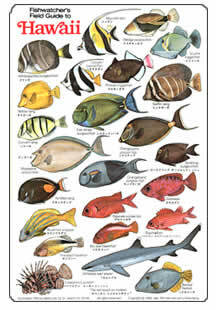 4.5 X 6"
61 of the colorful and exotic fishes of Hawaii are featured here. English/Japanese names. 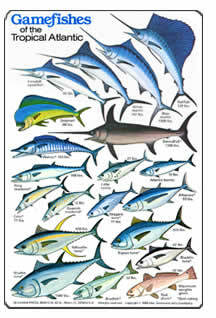 74 exquisite fishes, crabs, lobsters, urchins and more, many not found anywhere else in the world. sea urchins, sea stars and shells. 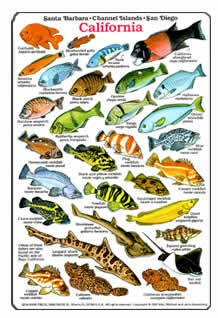 Many of the Gamefishes on this Atlantic card are found in the Pacific and even world-wide. Features 56 exciting gamefishes. 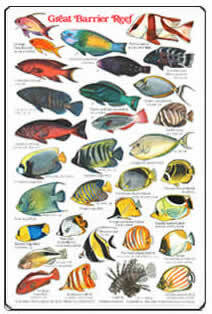 39 fishes and 26 of the most beautiful invertebrates commonly seen in Micronesia, Guam, Saipan, Palau and Yap. 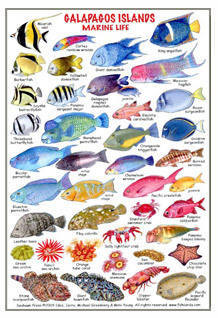 61 of the colorful, frequently seen fishes of Australia’s Great Barrier Reef are shown here. Fishcards.com web site Copyright © 2008 Idaz, Michael Greenberg. All images, text, fishcards, books, T-shirts or other matter, are Copyright © Idaz, Jerry, Michael Greenberg and Mimi Young. All rights reserved. No images may be copied or electronically retrieved at any time without written permission from the copyright holders. Violators will be prosecuted. So behave!